There was a lot of important information on the U.S. economy released this week but the biggest data point is without a doubt the latest monthly job report from the Bureau of Labor Statistics (BLS) out this morning. 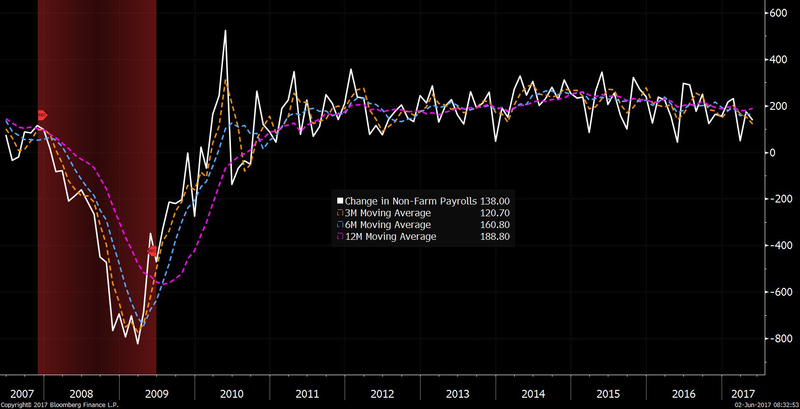 Indeed, total nonfarm employment in America rose by 138K payrolls in May, the 80th monthly gain in a row but significantly worse than the 185K increase economists had expected. 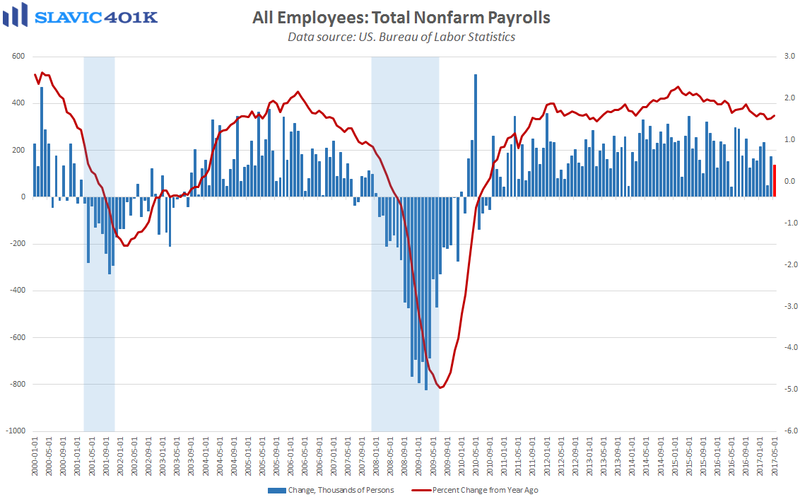 There were also sharp downward revisions to the April and March figures, which helped pull average payrolls growth during the past three months down to just +121K. While that is the weakest reading since July 2012 it is still above many Federal Reserve (Fed) officials’ estimates for what is needed to keep up with U.S. population growth. 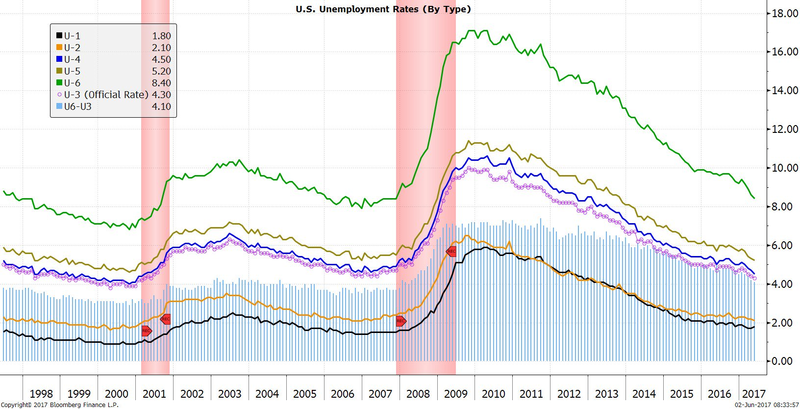 As for joblessness in America, the official unemployment rate (U-3) fell to 4.3 percent in May, and the underemployment rate (U-6) slid to 8.4 percent, both at the best levels of the current business cycle. 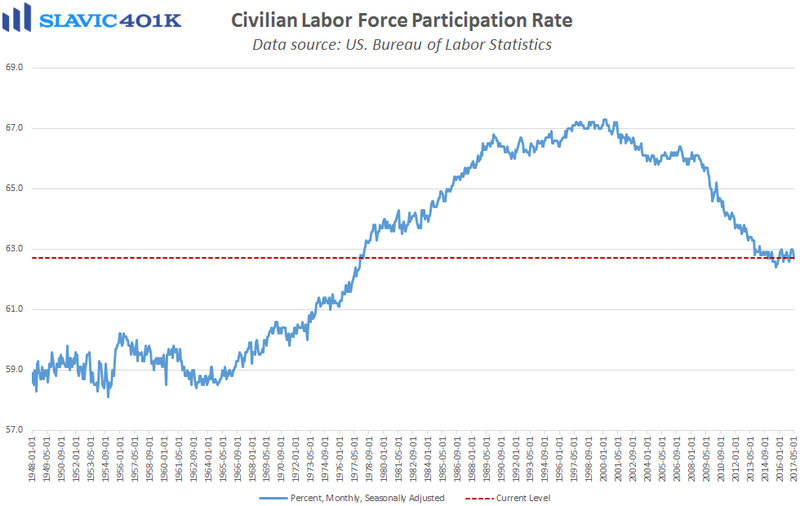 At the same time, the labor force participation rate in America ended May at 62.7 percent, the second monthly decline in a row following the 1-year high hit in March. This could be a reflection of more Americans reentering the workforce due to increased optimism about their employment prospects. 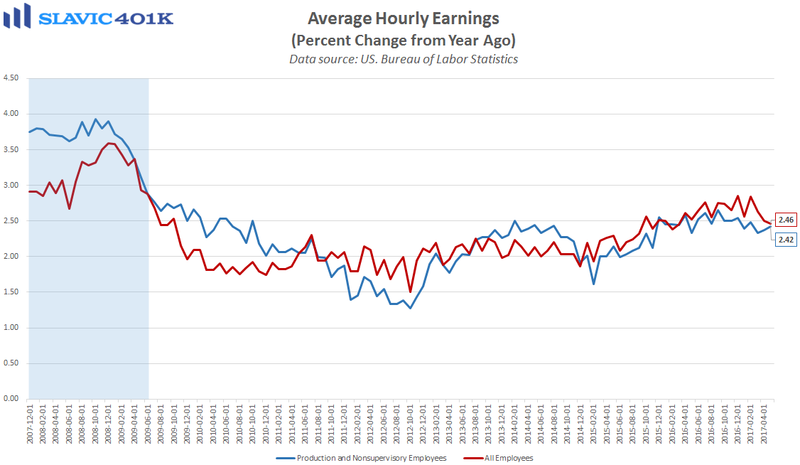 Shifting the focus to wage growth, average hourly earnings rose by 0.2 percent last month, in line with economists’ expectations but the April gain was revised slightly lower. As a result, wages have now increased by just 2.46 percent over the past twelve months, the weakest reading for annual growth since March of last year. 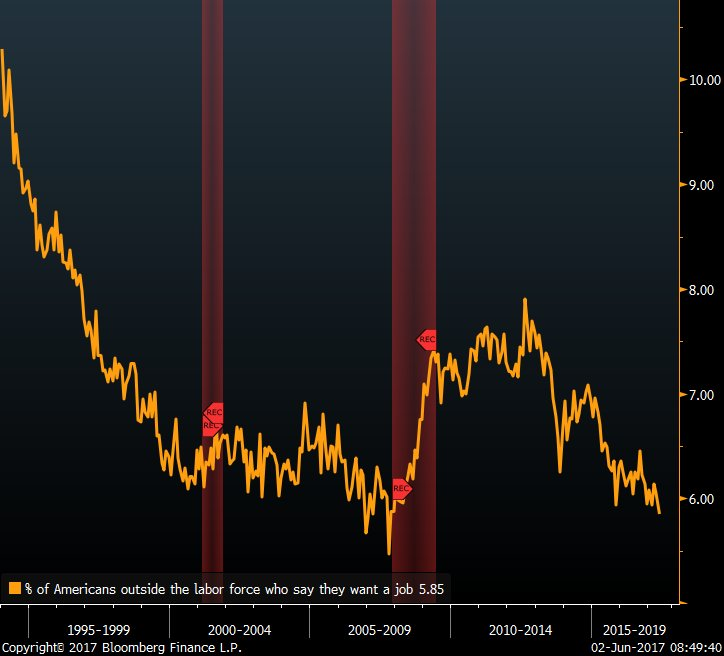 The percentage of Americans not counted among the unemployed who say they would take a job if they could find one fell in May to the lowest level since October 2007. 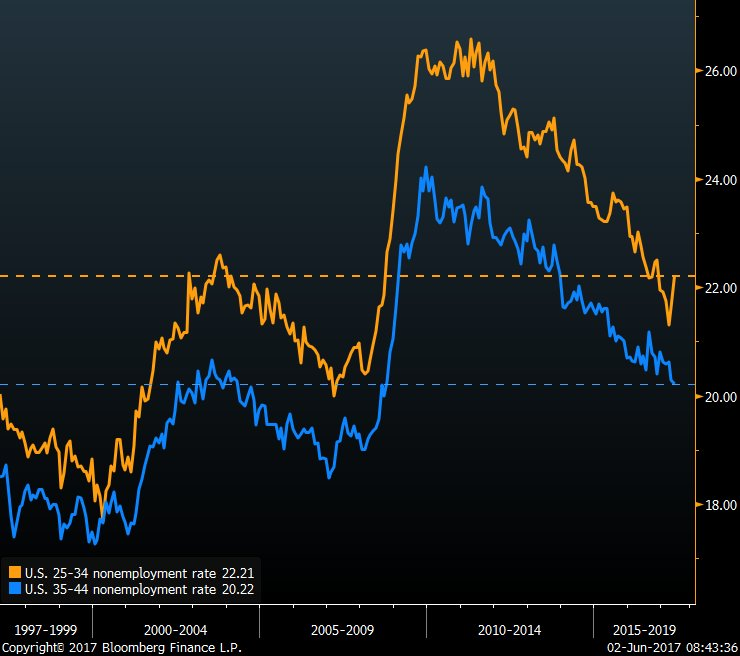 The percentage of Americans between the ages of 35 and 44 who are not working slipped in May to new post-crisis low but the 25-34 age group erased all of 2017’s gains. The unemployment rate for Americans with less than a high school diploma dropped from 6.5 percent to 6.1 percent in May, the lowest reading since 2006. 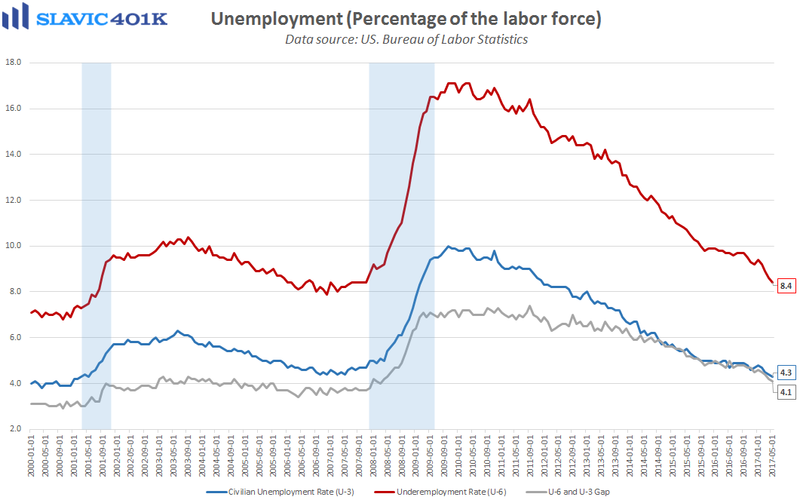 The unemployment rate for African Americans declined to 7.5 percent last month, the lowest print since December 2000. 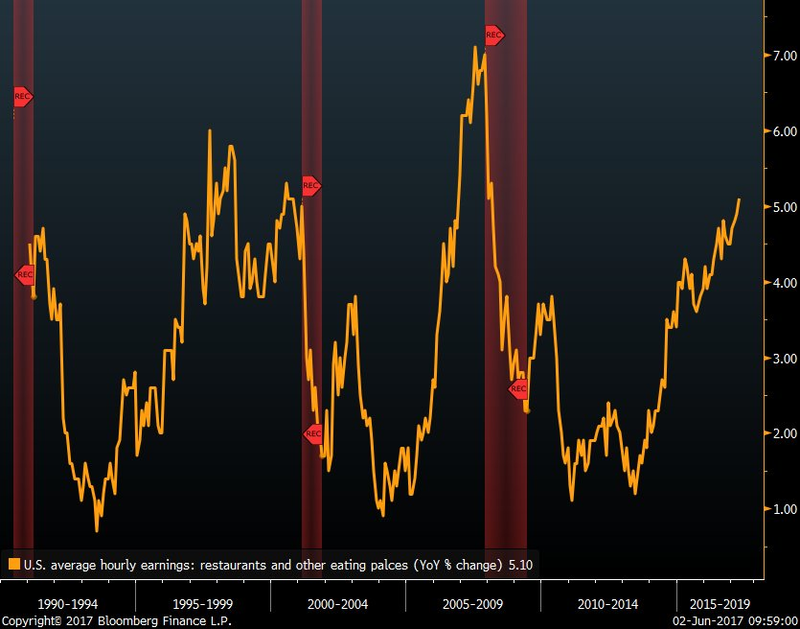 May saw the fastest wage growth for U.S. restaurant workers since February 2008. 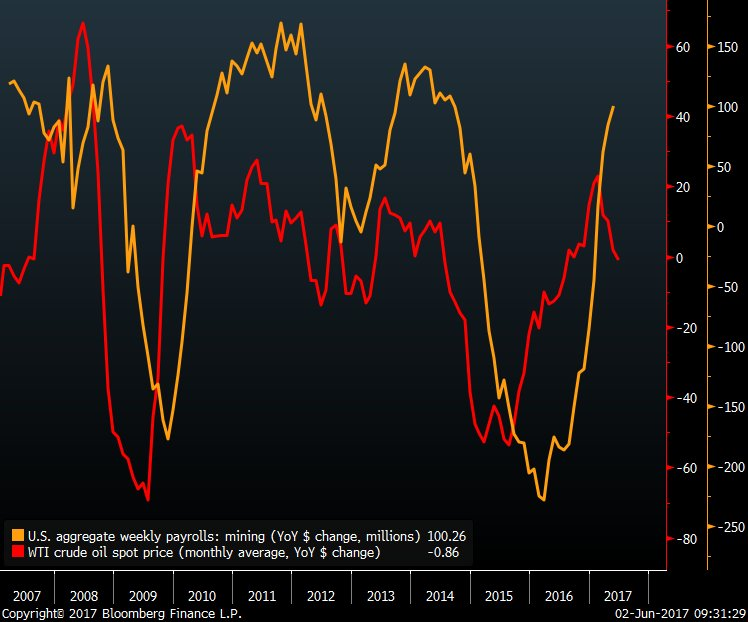 The U.S. mining sector in May contributed $100 million to total annual income growth for the first time since August 2014, right before the big downtrend in oil prices began.